There are a vast range of different fire alarm systems, designed to fit the needs of different people. 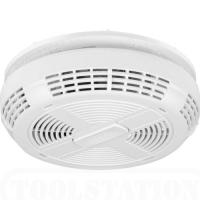 These can be anything from just sounding a basic alarm, to notifying emergency services directly, or even triggering fire doors to close or sprinklers to come on. Most modern houses will now have a fire alarm system built in as a matter of course, but this was not always the case, and it is highly recommended all older houses have a proper fire alarm system installed as soon as possible. This can not only save lives, but can greatly lower the insurance premiums on your house. Landlords, letting agents and companies should also note that they leave themselves open to prosecution without a properly installed and maintained system in their company buildings, or properties leased. It is also worth considering installing CO alarms in instances where gas appliances are in operation. Carbon Monoxide is extremely dangerous and we always recommend the installation of an alarm to alert you of any leaks. Carbon monoxide is a lethal gas that is undetectable by sight, smell or taste. It is also a natural bi-product of burning fossil fuels, and can be produced by improperly fitted or maintained gas appliances in the home. Security within your home or business is an important issue for everybody, PGS can install a range of different systems to give you the peace of mind of knowing that your property is protected. Even the most basic of systems, such as a motion sensor light, can be a huge burglar deterrent. Burglar alarms can work in a few different ways, there are both closed and open circuit alarms, where the opening of a door or window will affect the electricity flow and trigger an alarm (an open circuit alarm will be set off when the circuit completes, and electricity is able to flow through it, a closed alarm will do the opposite, and trigger when the circuit is broken). 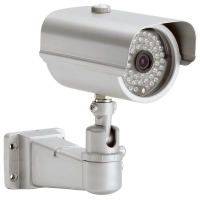 Businesses or larger houses may want to consider CCTV cameras which can trigger alarms. They can sound alarms by using motion sensors and infrared technology to detect when you have an intruder, or photoelectric methods, which emit an invisible beam of light, activating alarms when it is broken. There are also a number of entry systems that can be installed, enabling the people inside to know exactly who is at the door before they enter. These can be voice, video, or both, and increase safety when answering the door to unknown callers. Though these are most commonly found in flats or apartments, they can be installed in any household. PGS have a team of experienced electricians, who can advise on the right sort of security system for your home and budget, and will be able to give a complete and professional installation service from start to finish.